There are two subjects here: the rice used in sushi and how to prepare that rice, once cooked, into sushi rice. The first deals with brands and varieties, that is, what type of rice to use. The second is purely recipe and technique, that is, how to make the sushi, or vinegared, rice. By no means do I claim, proclaim, profane or otherwise pretend to be some kind of expert on rice, sushi, or the rice used in sushi. However, the topic has been written about multiple times. My takeaway was Kokuho Rose. 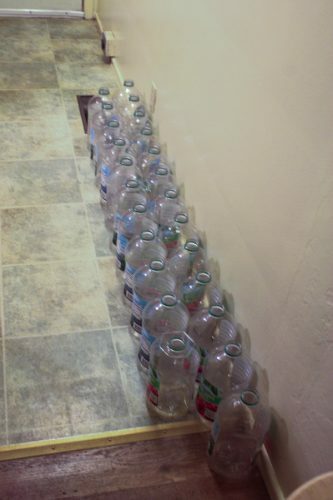 I’ve grown so fond of it that I had to take a more cost-effective solution to buying it, mainly, 40 pound bags. It’s become my favorite white rice. My default brown (long grain) rice is whichever five pound bag of (brown) jasmine rice I’m currently working through. The great thing about making vinegared, or sushi, rice is it goes fantastic in rice bowls or really, anything. 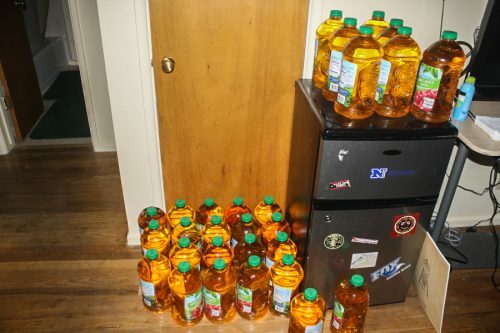 Then again, I like vinegar. The basics are, the rice used in sushi is either medium or short grain. If you look on the internet, you will find that the answers go either way. Koda Farms, who grows Kokuho Rose (a variety only grown by them) claims that short grain is should never be used. 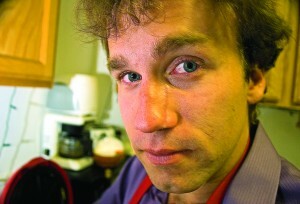 The Kitchn proclaims short grain is sushi rice. So, this is all confusing. 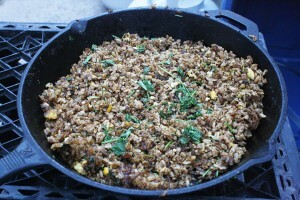 Japanese style medium-grain or short grain rice seems to be the answer. (Japan, for the most part, does not export its rice). Try out different varieties/brands and find what you like. I know what I like. (I buy the stuff in the red/pink packaging). When it comes to making the rice, I suggest using a rice cooker, especially because they are both so cheap and because they make cooking rice so easy, and perfect. But what makes vinegared, or sushi, rice, special? The vinegar! And sugar. And salt. So, you get your rice cooking (for what I use, the ratio is 1 and 1/4 cups water to 1 cup rice, meaning, for two cups of uncooked rice, you need 1 and 1/2 cups water in the rice cooker) and then move on to making the vinegar solution. For the purposes of this post, as well as the recipe, the quantity will be two cups of uncooked rice. I’ve found that heating the vinegar up in the microwave is the easiest way of getting the sugar (1/4 cup) and the salt to dissolve. It should be noted, however, that I just wing it with the salt and sugar. I literally just pour some of both in and call it good. Another point of confusion is the washing of the rice. Many claim this is essential. I notice no difference with the rice I buy. All that being written, here’s how to make sushi (vinegared) rice. 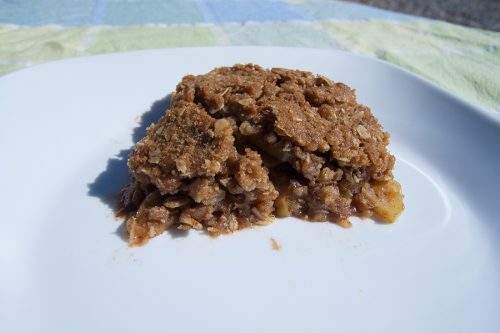 For just the recipe, it’s housed on the main website, here. Wash the rice if desired, until water runs clear. Pour uncooked rice into rice cooker. In a measuring cup, Measure out 2 and 1/2 cups water. Pout into rice cooker. Close rice cooker and turn on. While the rice cooks, measure out 1/2 a cup of rice vinegar in a microwave-proof container, if possible. Add the sugar and salt to the vinegar. Mix to combine. Heat the vinegar up in the microwave, while mixing periodically, until all the sugar and salt is dissolved. 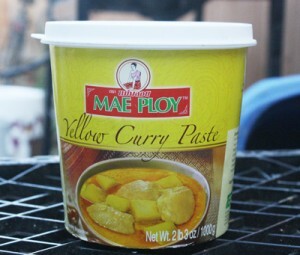 Once dissolved, move it to the freezer while waiting for the rice to finish cooking. Once the rice cooker either turns off or turns to warm, allow it to sit undisturbed for 5-15 minutes. Open the rice cooker and quickly mix the rice one or twice. Replace the lid and wait another 5 minutes. Remove rice from cooker into a large non-reactive bowl. Pour the vinegar mixture over the rice and, with your rice spoon/mixer (oversized, flat spoon), lightly mix with a forward-pushing motion. If making sushi, cover bowl with a wet towel and allow to cool further. If consuming rice bowls, consume! See, or download, all the full-quality photos on Flickr. 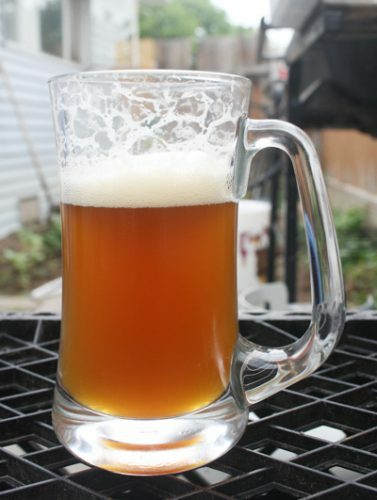 This article was originally posted on June 10, 2013 on my homebrew website, Fat Grey Tom’s Cider. It has been re-posted here with the same time stamp. I love fish, which seems to be a shame considering I was born and raised in the inland desert. While smoked salmon was a treat growing up, it has always been an unaffordable luxury in my adult life. Fortunately, there are many alternatives, including one of my favorite fish: the sardine. 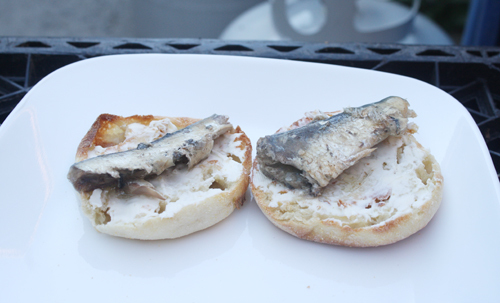 Two of the three sardines in a can sit on English muffin halves, straight from the can. Lightly smoked canned sardines may not have the exact taste, or consistency, that smoked salmon does. They certainly do not have the nice presentation it does. 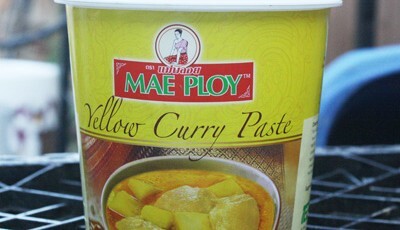 However, they are cheap (around a dollar a can for three sardines) and make for sustainable and delicious cheap eats. In this case, I have been using English muffins as the base, although bagels or bread would certainly work as well. That and some cream cheese. Two adjuncts, capers and red chopped red onions, as seen in cream cheese and lox preparations, make good companions. Sometimes I like them, sometimes I like it plain. That’s all there is to it. Kippered herring is also a good choice, as are other smoked canned fish. 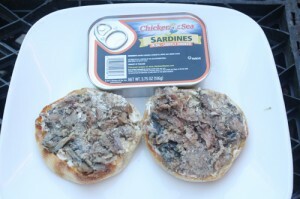 Three sardines come in a can but usually one sardine is sufficient to cover an English muffin so I save the third for the next day. The sardines’ supple flesh have been spread over the muffins. 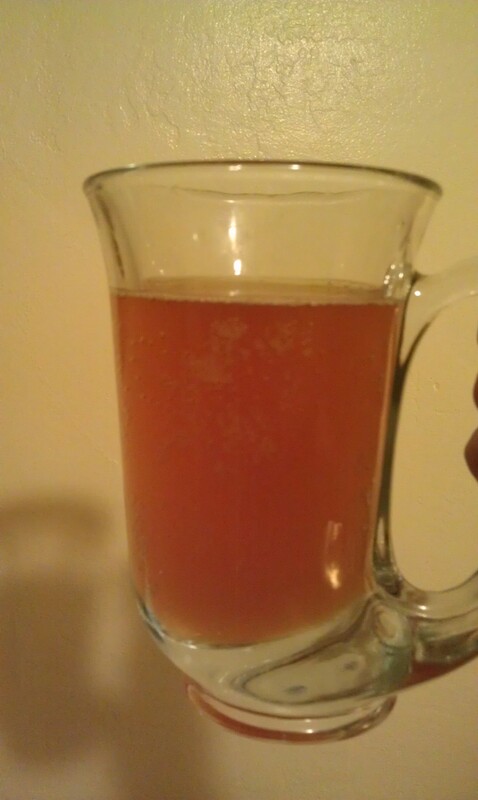 This article was originally posted on March 29, 2013 on my homebrew website, Fat Grey Tom’s Cider. It has been re-posted here with the same time stamp. Leo, Bryce and I are products of the late 80s and early 90s. When we were born has informed both our choices in diction and our nomenclature decisions, aka, references. The banality of evil is certainly, to a degree and extent, borne out of the History Channel of our childhood’s and its devotion to World War II. Certainly, the time I spent in Germany and my obsession with the German language and culture has influenced both our brewing and our terms, too. Leo has said the three of us make up, through our various quirks and proclivities, interests and designs, gesticulations and interests, a single 1950s wife. What this has to do with beer should certainly be explained: Leo wanted to make a domestic (American) golden ale. Not even a pale ale with its higher alcohol content, but rather, a domestic American beer. He made up the recipe extemporaneously at our local homebrew store. The beer was supposed to be a domestic. Together, we three brewing brothers, make up . . . domesticity itself. I’ve been told countless times I’d make a very good wife to some man some day, because of my love of cooking, of hosting, child-rearing, etc. Not to say I disagree. I don’t doubt I’d make a great housewife. I even love a good soap opera, albeit, in German, the language of true Liebe. When it came to brewing Voltron, the three of us combined into . . .
We wrote the ingredients down and the process was the same as always, except we did not write the yeast down. 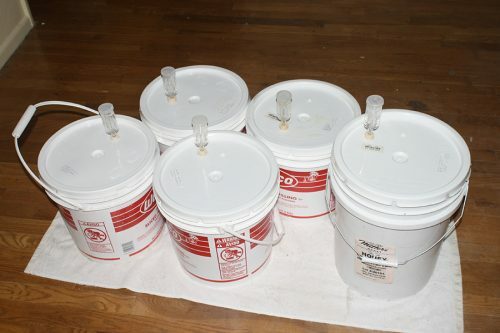 We’ve assumed, through elimination and cross reference with the one-gallon cider batches fermenting in my closet, that the yeast was the Burton Ale Yeast from White Labs but we’re not sure. Maybe it’s the London Ale Yeast. Regardless of which yeast it is, the beer itself (a truly beautiful amber color) has been infected. It’s not a bad infection, it’s a pleasant, sour infection but an infection none-the-less. 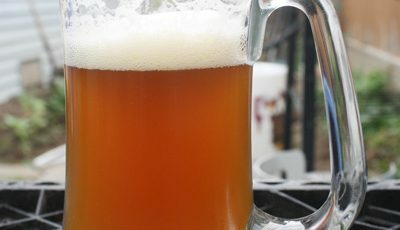 The beer is carbonated and kegged and has been quite a hit so far, although, it seems everything in the keg that doesn’t taste terrible is a hit. The plan is to culture whatever we managed to create and both remake that recipe and also make something new. It’s a good infection, one we can harness into a whole new yeast strain and possibly bacteria strain through washing and culturing. Next up for that combination, we’re thinking, is something with fruit. 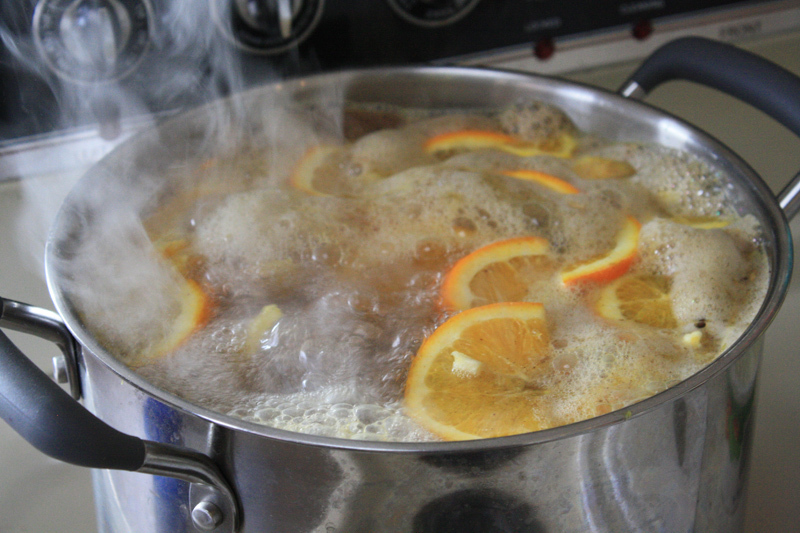 This is for a five-gallon batch. The Voltron in low light.